Throughout the spring semester I worked with a team of classmates to investigate the Digital Archeology Lab at UT’s iSchool and the iSchools personal DSpace. As a group we researched Drambora, TRAC and worked on evaluating the lab. My personal portion was to create a visualization of the entirety of DSpace in order to give people a better of idea of what was in the collection, as well as create a list of “Best practices” for future DSpace entries. 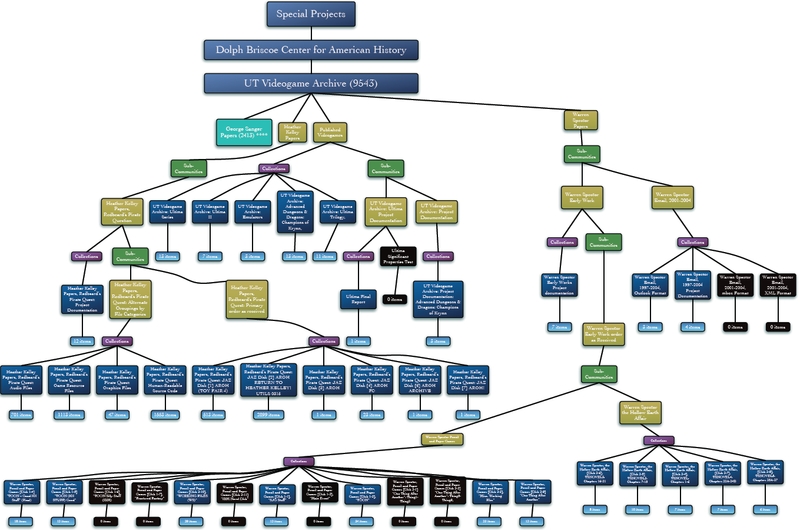 Using a program I went through and mapped out the entire DSpace. Below is a collection of screen caps of the project.